We repair, test, modify & refurbish all types of tank containers & trailers. We carry out all repairs in accordance with the ITCO standard or in accordance with your own criteria. We offer professional maintenance with a quick turnaround time for your valuable equipment. This is achieved by our highly skilled and motivated team of specialists. We carry out periodic inspections under supervision of a competent approval authority such as Bureau Veritas & Det Norske Veritas. One of DEMI’s founding professions since 1996 is working with liquefied gas tankcontainers (UN Portable T50 / IMO 5). Our expertise covers the full spectrum in this market. We offer full service from gritblasting to complete pipework modifications. Stainless steel T1 to T22 tankcontainers, in all sizes, are carefully repaired, tested and maintained at DEMI Container Services bv. We offer full service from grinding/polishing of the internal tank to complete renovation of the unit. As an innovative and pioneering company, we have over 20 years of experience with cryogenic tank containers (UN Portable T75/IMO7), storage tanks and cryogenic trailer repairs. We offer full service on any cryogenic vessel. In our dedicated workshop we are able to carry out cleaning, repairs and inspections on large quantities of IC / IBC / SBC / SPT / P-200 cylinders / Mini tanks. DEMI is providing tanktrailer services in our dedicated tank trailer workshop. We provide repair, modifications and maintenance as well as periodical inspections to all your food, chemical (ADR), cryogenic, gas and vacuum tank trailers. Whether they carry fuel or waste water, these units with lifting equipment must be certified according Offshore regulations. At DEMI we offer all services to maintain, repair and certify your Offshore equipment. When you are looking to buy a used container you are at the right address at DEMI. 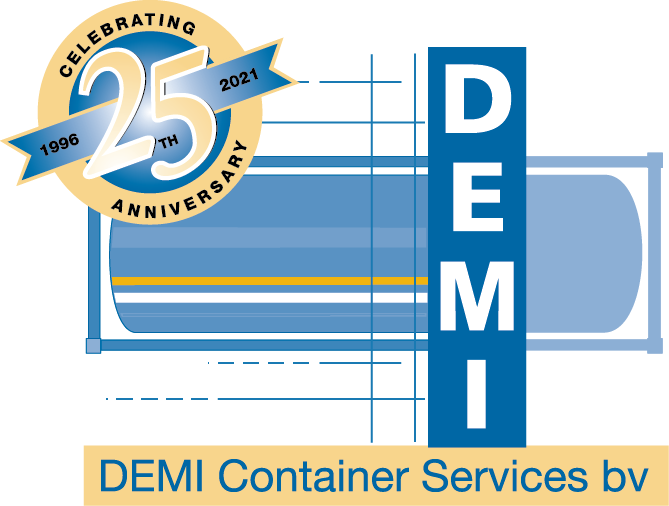 Refrigerant recovery, neutralizing gas and cryogenic tanks, marine cryogenic vacuum treatments, special projects, all is possible at DEMI Container Services bv. © Copyright DEMI Container Services bv.